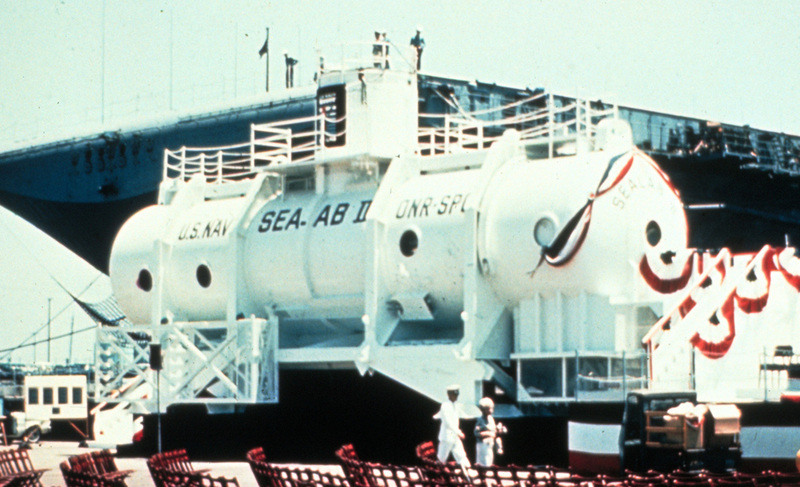 Today marks the 50th anniversary of the installation of Sealab II off the coast of La Jolla, CA. 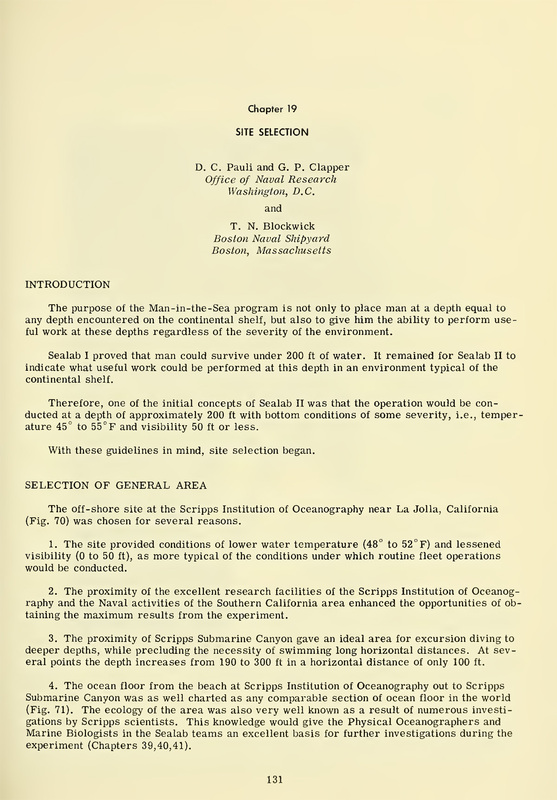 On August 26, 1965, the Sealab II underwater habitat was lowered to the sealfloor adjacent to Scripps Canyon. 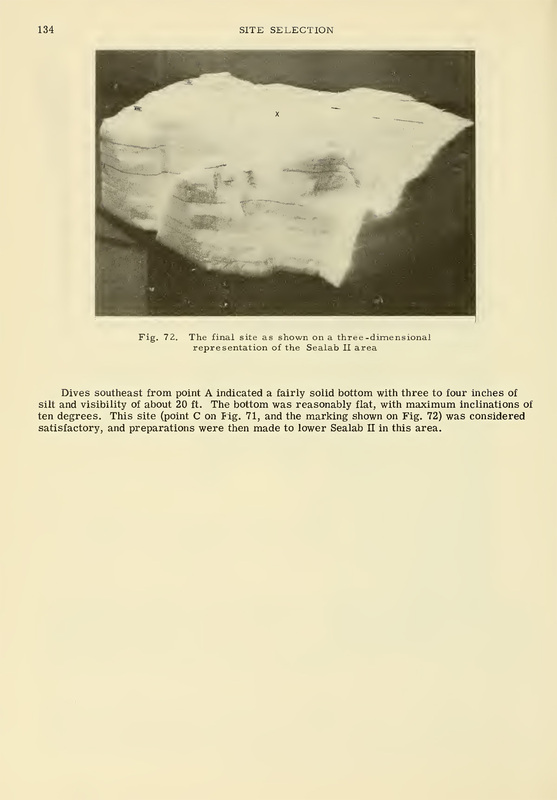 On August 28, 1965, the first team of divers moved into the experimental habitat to prove that useful work could be carried out by men living beneath the sea for extended periods of time. 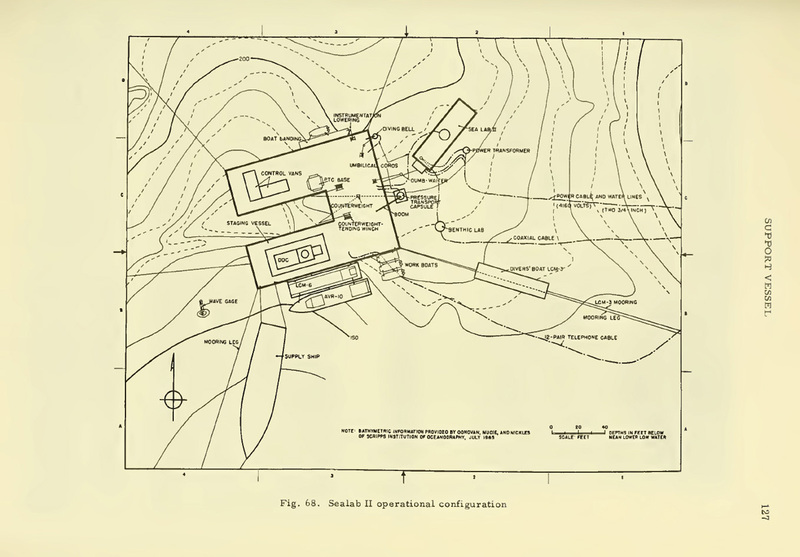 Sealab II would become known as the “Tiltin’ Hilton” due to the slope of the installation site. 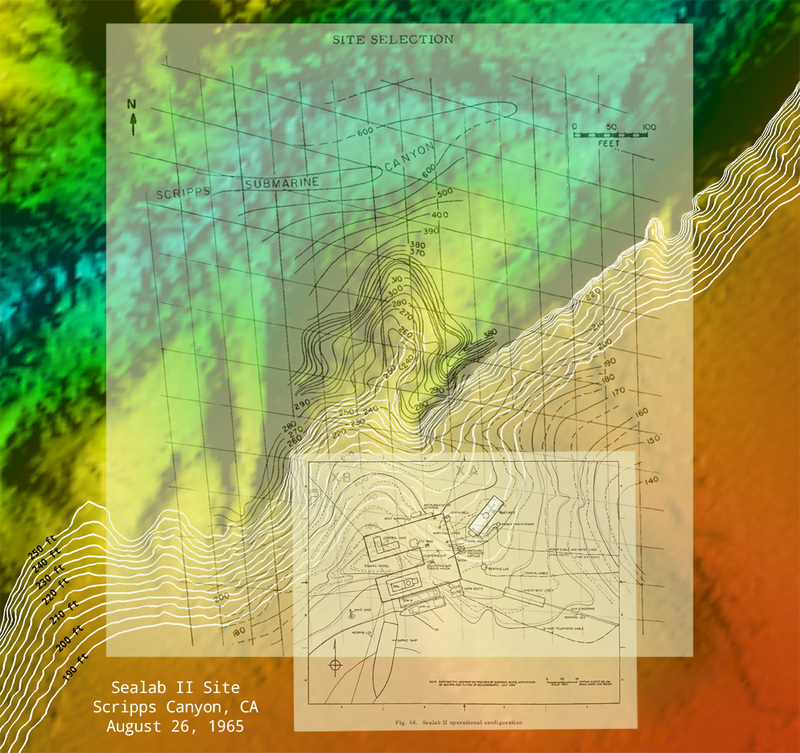 Sealab II was intended to be installed at a depth of 205 ft (Site A), however this site was later deemed unsatisfactory due to a large amount of silt accumulation. 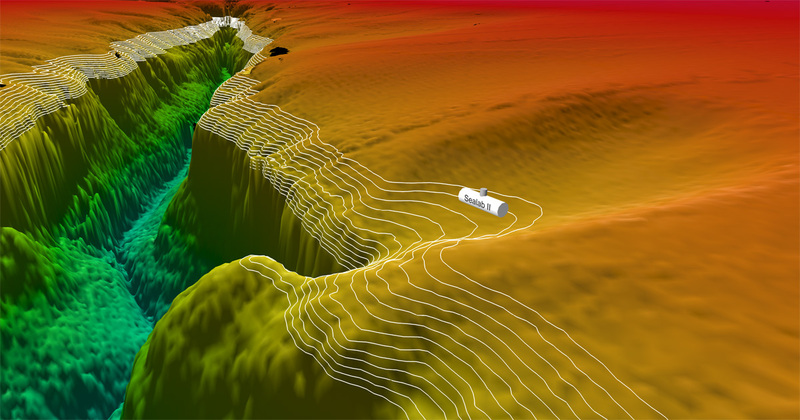 Site B, also at 205 ft, was briefly considered until exploratory dives revealed that the terrain was too steep. 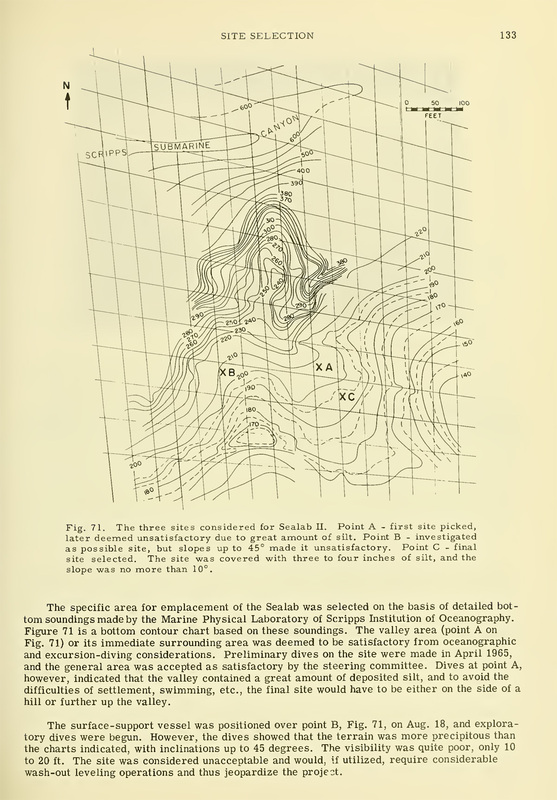 A site further up the valley at a depth of 195 ft (Site C) was eventually chosen because it was reasonably flat and had a minimal amount of silt. 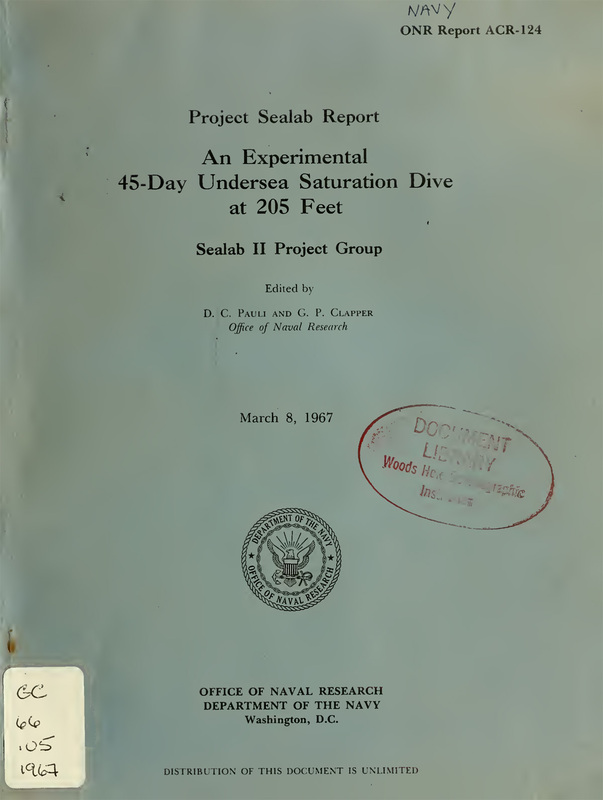 At the conclusion of the 45 day experiment, Sealab II was raised to the surface and removed. 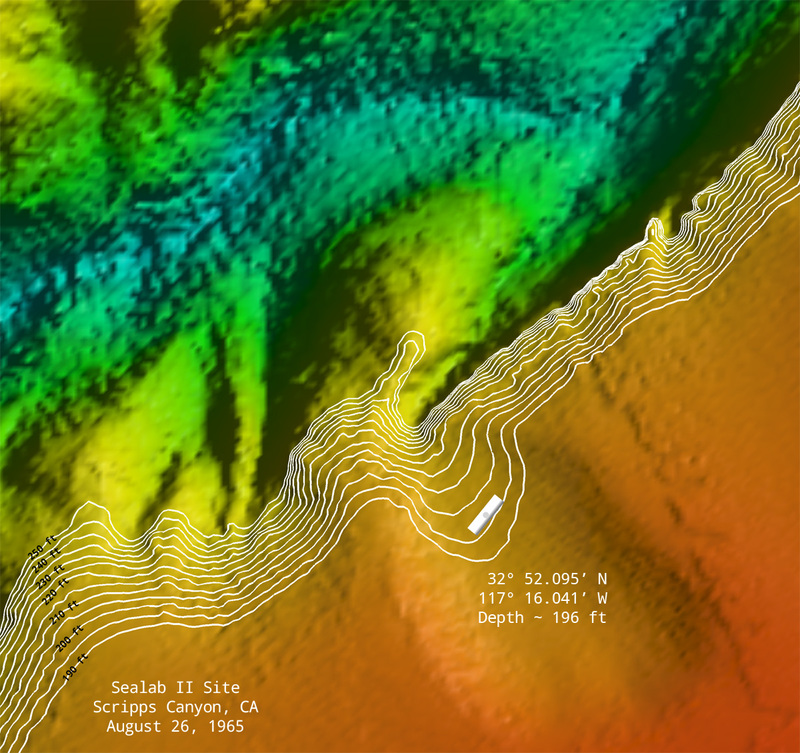 However, in 2002 the U.S. Navy Deep Submergence Unit visited the site with the remotely operated vehicle (ROV) Scorpio and discovered physical remnants from the project that were left behind. The specific items they found are unknown. 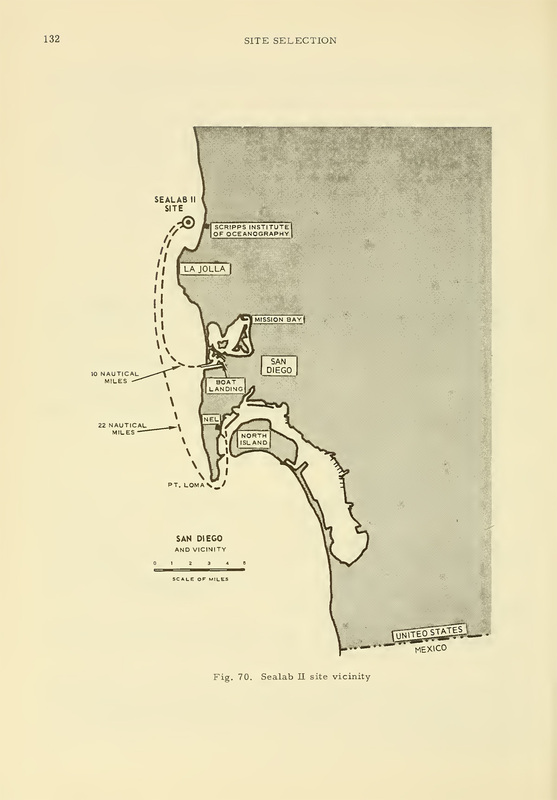 So where was Sealab II located? 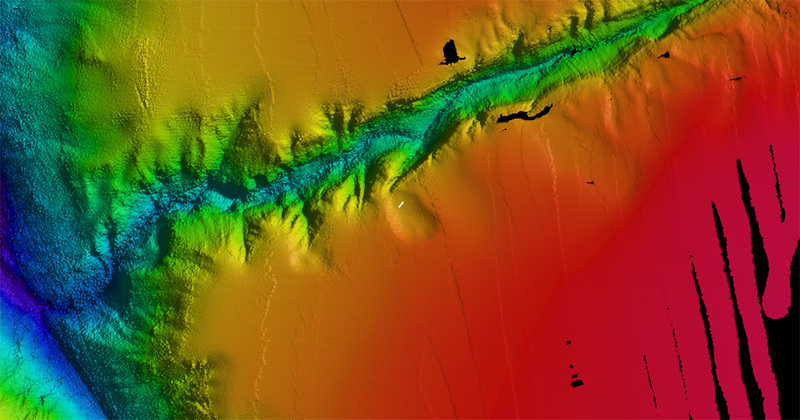 To answer that question I merged official Navy site maps together with a modern multibeam sonar survey in order to align the images using their bathymetric contours. The results are in the following images. 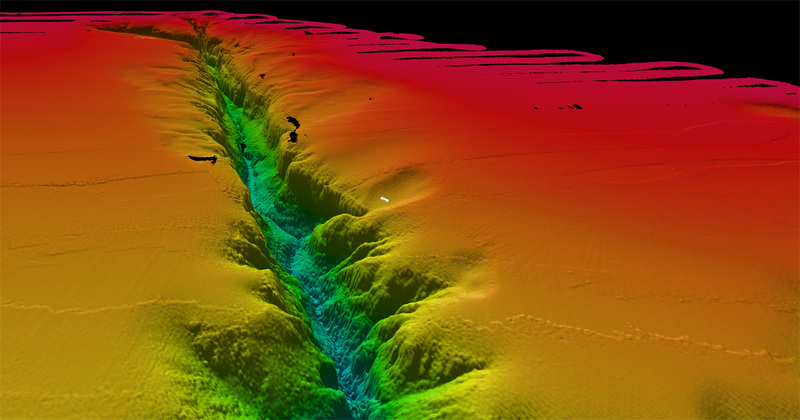 Multibeam data was provided by the Seafloor Mapping Lab, California State University Monterey Bay. A visit to the Sealab II site in 2002.